The rent at Trellis House Apartments ranges from $1,798 for a studio to a $3,640 two bedroom. 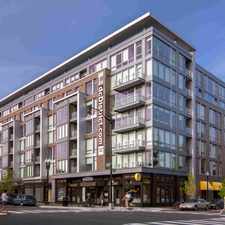 Apartments in this building are about 1% less expensive than the U-Street average. This is a pet-friendly apartment. 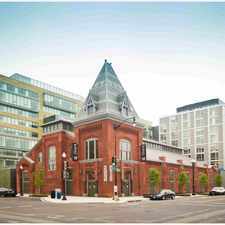 Trellis House Apartments is a seven minute walk from the Green Metrorail Green Line and the Yellow Metrorail Yellow Line at the U STREET METRO STATION stop. 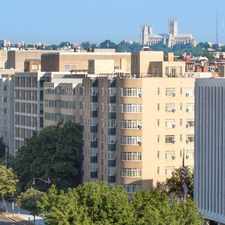 This apartment is in the U-Street neighborhood in Washington D.C.. Nearby parks include Garfield Terrrace Senior Citizens Center, Banneker and Banneker Recreation Center. Trellis House Apartments has a Walk Score of 95 out of 100. This location is a Walker’s Paradise so daily errands do not require a car. Understated yet elevated, fresh and inspired—located on the corner of Sherman Avenue and Barry Place, Trellis House remains deeply rooted in the unique character and dynamic energy of Shaw and U Street while reflecting the worldly culture of Washington, D.C. Gourmet dining options, boutique shopping destinations and public transit are all within walking distance, making our community an oasis in the heart of the city. 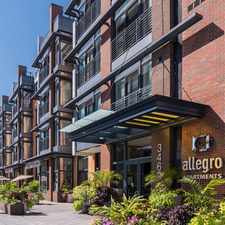 We offer studio, one-, two- and two bedroom townhome-style apartment homes in a LEED Platinum certified building. Intuitive amenities, services and design define our experience and embody the natural simplicity of a life well lived. Brand new apartments now leasing. Explore how far you can travel by car, bus, bike and foot from Trellis House Apartments. Trellis House Apartments has excellent transit which means transit is convenient for most trips. Car sharing is available from Zipcar, RelayRides and Hertz On Demand. 2323 Sherman Ave NW compared to all of Washington D.C..
How do you feel walking near 2323 Sherman Ave NW? View all U-Street apartments on a map. Trellis House Apartments is in the U-Street neighborhood. U-Street is the 2nd most walkable neighborhood in Washington D.C. with a neighborhood Walk Score of 97.